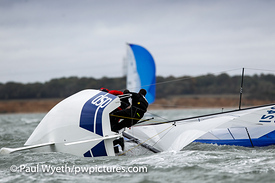 The first day of the Hamble One Design Championships began with wind in the low 20s, and gusts of up to 30 knots. 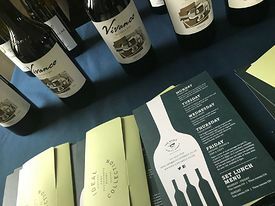 The HRSC race team headed out to Jonathan Jansen, and after a short AP the wind began to ease to around 16 knots, and the race team delivered a full schedule of four windward leeward races in short order. The conditions provided spectacular autumn racing for the sportsboats classes, with fast and thrilling downwind surfing conditions. By contrast the second day produced light winds of about four knots, which slowly built allowing one race for competitors. However, after the first race of the day, the wind died and sadly did not rebuild. 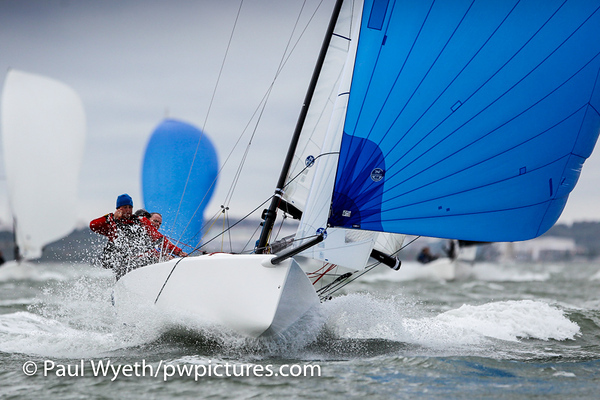 In the J/70 Class, there was a dramatic final flourish. 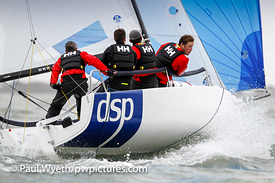 Doug Struth's DSP gained the upper hand in the very last race to finish top J//70 for the regatta. Graham Clapp's Jeepster was second, but only on countback from Marshall King's The Janitor third. Patrick Liardet's Cosmic scored a bullet to claim fourth on countback, ahead of David McLeman's Offbeat. In the J/80 Class, Mike Lewis' Jester reeled off three straight bullets to stamp his authority on the class. However, Louise Makin's Ryoko Meka and Nigel Skudder's Harley Quinn took a race win each and ended the regatta tied on points. Ryoko Meka was second after countback. In the SB20s, Charles Whelan's Breaking Bod came flying out of the blocks with two race wins. However Mark Gillett Poor Buoy, produced a very consistent set of results to end the regatta tied on points but second on countback. David Atkinson's Sweaty Betty recovered form a poor result in the first race, to post two bullets to recover into third position. 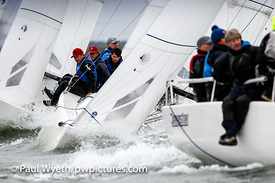 For the second round of the Hamble Winter Series, sponsored by The Bugle Hamble, there were class wins for: Gavin Howe's Tigris in the J/88 Class, Malcolm Wootton's modified Farr 30 Pegasus DekMarx in IRC One, Mike Moxley's HOD 35 Malice in IRC Two, Annie & Andy Howe's J/97 Blackjack II in IRC Three, and Stuart Danby's Mustang 30 Respect in IRC Four. 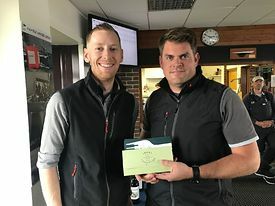 Matt Harris General Manager of The Bugle, Hamble, was on hand to congratulate the winners with complimentary wine and dinner invitations to the gastro-pub located on the River Hamble. 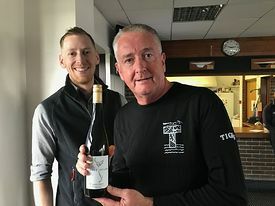 "The Bugle is only 100 metres away from the Hamble River Sailing Club, and many of the members are regular customers, so by supporting the Hamble Winter Series, we are giving a little back to our community." The Hamble Winter Series continues 15 October, incorporating the final round of the 2017 FAST40+ Circuit, which will have five races scheduled 14-15 October. The Hamble One Design Championships will conclude on 21 - 22 October, 2017.